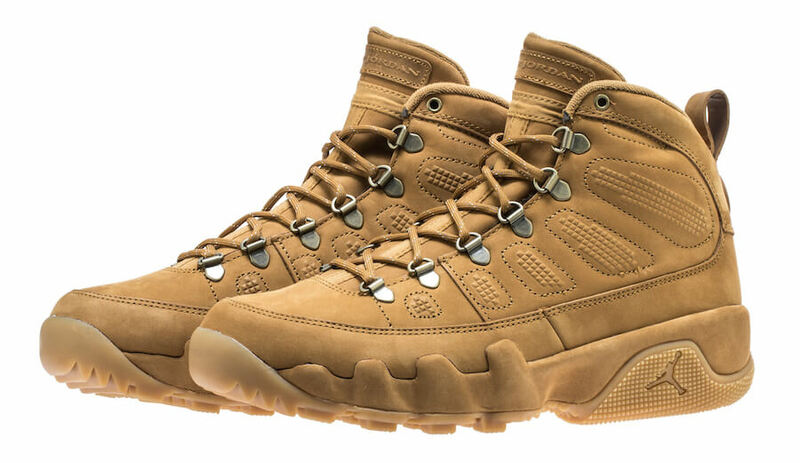 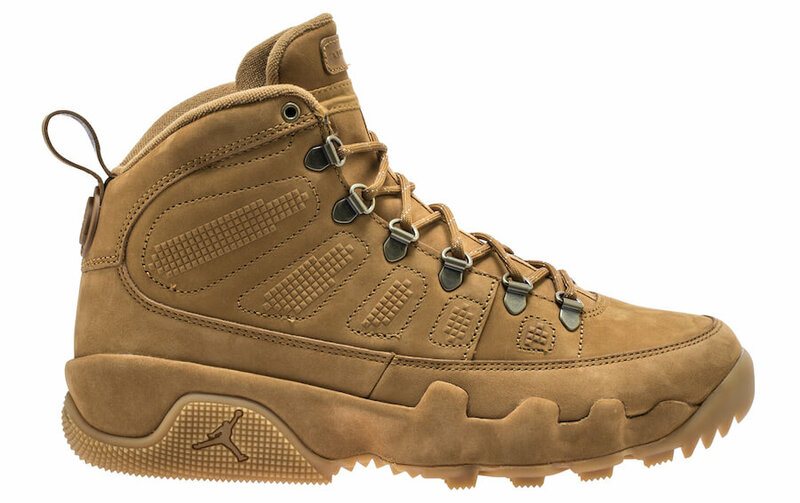 The Air Jordan 9 Boot is finally back in business with its new colorways after being first witnessed during last year’s winter season. 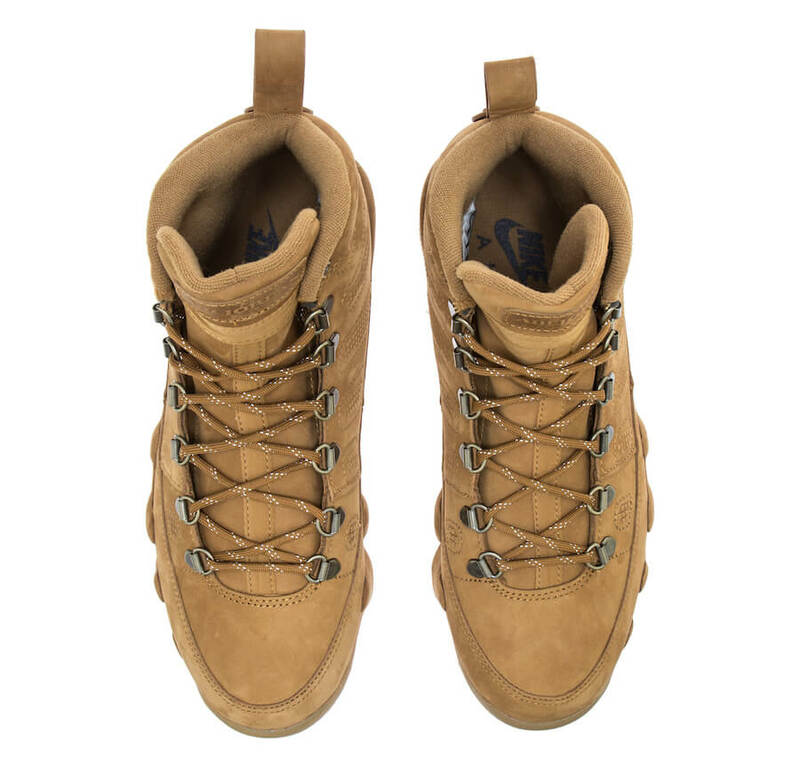 The pair basically comes dressed in a classic Wheat nubuck upper complemented with metal eyelets and boot-inspired laces. 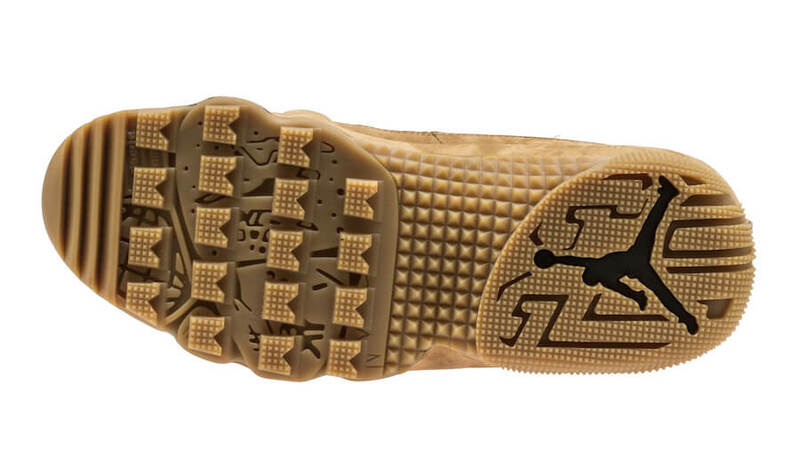 This particular winter oriented sneaker has been further decorated with a matching nubuck midsole and a gum outsole that provide one with more traction and hence completes the whole design altogether. 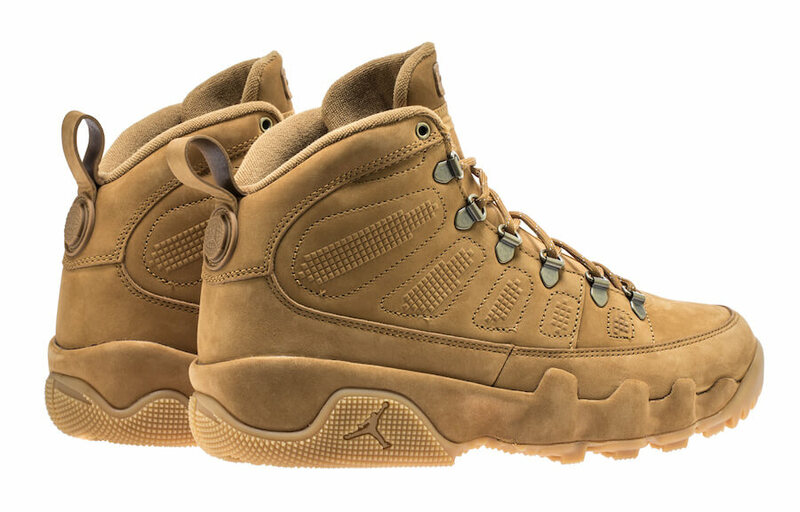 Check out more detailed images below and grab a pair for yourself at any select Air Jordan retailer on 13th of October 2018 for a retailing price of $225.